Why is the National Park Service implementing a parking and shuttle reservation system at Muir Woods? As visitation to Muir Woods National Monument increases, so do the public safety risks. Limited parking, along with high visitation, has led to unsafe illegal parking and foot traffic along narrow roads. The new parking and shuttle reservation system will better manage visitation levels, allow visitors to plan their trip in advance, and reduce overcrowding. In this way, the system will improve the overall visitor experience while also enhancing the protection and preservation of the surrounding natural resources. Who will operate the reservation system? Ace Parking Management, Inc. has been awarded the concession contract to operate the reservation system and onsite parking management. How come there are no trash bins at the parking lots? When will vehicle and shuttle reservations be required? Reservations for parking and seats on the Muir Woods shuttle will be required beginning January 16, 2018.
Who will be required to make a reservation to visit Muir Woods? All privately owned vehicles and shuttle passengers arriving to Muir Woods will be subject to the reservation system beginning January 16, 2018. Visitors arriving by foot, bicycle, or tour bus are not required to make a reservation. How do I make a parking or shuttle reservation? Similar to making a camping reservation, making a parking and shuttle reservation is fast and easy. Reservations can be made through this website or by phone at 1-800-410-2419, beginning January 1, 2018. Once the system is in place, reservations will be required seven days a week, year-round. The system will accommodate advance and day-of reservations (dependent on availability). Commercial carriers will be required to make advance reservations through a separate system managed through recreation.gov. Reservations for commercial parking spaces are anticipated to begin in late spring 2018. How much do reservations cost? The parking reservation fee will be $8 per vehicle in the first year and will increase $0.50 every two years. The shuttle reservation fee will be $3 per person, age 16 or older, in the first year and increase $0.25 every two years. A free reservation must still be made to secure a shuttle seat for visitors under 16 years of age. Visitors age 16 or older are required to pay a $10 park admission entrance fee in addition to any parking or shuttle reservation fees. Starting January 1st, 2019, the park admission entrance fee will be $15 for visitors age 16 or older. How long does my reservation last? Visitors may stay until the end of regular park hours on the day of their reservation, regardless of their scheduled arrival time. How far in advance do I need to reserve a parking or shuttle spot? Parking and shuttle reservations can be made online or by phone up to 90 days in advance on a rolling basis. A limited number of reservations will be held back and released five (5) days in advance to provide access for visitors who were unable to plan their trip further in advance. Demand for parking and shuttle reservations is expected to be high, so booking a reservation far in advance is recommended. Do ADA spaces require reservations too? Yes, reservations will be required for ADA spaces. There are eight (8) ADA spaces available, located in the main parking lot. In addition, the reservation website is designed to comply with Section 508 standards to ensure that it is accessible to users with a variety of abilities. If all of the parking spaces are full, can I just drive to Muir Woods and look for an empty space? No, visitors arriving by privately owned vehicle must have a reservation in advance. Parking reservations will not be sold onsite in the parking areas. However, visitors may purchase reservations on the same day of their visit subject to availability and if done off-site in advance of their arrival. We encourage park visitors to plan ahead. How do I verify that I reserved my parking or shuttle spot? Visitors who make their reservations online will receive an email confirmation, followed by a parking or shuttle pass with a unique barcode. Visitors who make their reservations over the phone will receive a confirmation number and may also have their parking or shuttle pass emailed to them. Parking and shuttle passes will be electronic, but visitors may choose to print them and bring a paper copy. These passes will be verified prior to boarding the shuttle or, if driving in a personal vehicle, prior to entering the parking area at Muir Woods. Download your parking pass in advance as there is no Wi-Fi or cell phone service at or near Muir Woods. A full refund will be provided for cancellations made at least 72 hours in advance of the reservation time. Visitors making a cancellation less than 72 hours in advance will receive a full refund for any pre-purchased park entrance fees, and no refund for their parking or shuttle reservation. Visitors are encouraged to cancel a reservation if they know their plans have changed, as this provides the opportunity for others to visit the park. Can I resell my parking or shuttle reservation ticket to someone else? No, you cannot resell your reservation to someone else. A maximum of ten (10) shuttle reservations or two (2) parking reservations may be purchased per transaction per day. What do I do if another car is in my reserved spot? A parking reservation is for a specific time or window of arrival, not a specific parking space. Parking ambassadors will ensure there is available parking for all visitors with a reservation and will guide each vehicle to an available parking space. A parking manager will be on site during operating hours to assist with any questions. Where are the locations to catch the shuttle? The Muir Woods shuttle can be picked up at the Pohono Street Park & Ride Lot, the Sausalito Ferry Terminal, and the Marin City Hub. More information on shuttle locations can be found on the Shuttle and Parking Information page. Does the shuttle run every day? No, the shuttle does not operate every day. Beginning January 20, 2018, the shuttle will run on all weekends and holidays, year-round. Additionally, the shuttle operates on weekdays during certain summer dates, from June 18 to August 10. You will only be able to make a shuttle reservation for a date and time when the shuttle is operating. How frequently do shuttles come to the park to pick up passengers? The Muir Woods shuttle, depending on time of year and time of day, may come as frequently as every 10 minutes. Beginning January 20, 2018, the shuttle will run every weekend, year-round. Can you put a bike on the shuttle? Are there racks to lock up my bike while I tour the park? Bikes are not allowed on or inside the Muir Woods shuttle. Bike riding is not allowed within Muir Woods, but bike racks are available outside the park entrance. Biking to Muir Woods is not advised for most visitors as the route is long, steep, and has no shoulders or bike lanes. Yes. The shuttle is accessible to anyone who uses a mobility device or has difficulty climbing steps, as each bus contains either a lift or wheelchair ramp and at least two wheelchair positions. Visitors may select an accessible seat when making a shuttle reservation. Will there be security at the shuttle pick up/drop off lots? Visitors riding the shuttle are discouraged from leaving valuables in their cars and in plain sight in the shuttle parking lots. The National Park Service nor its contractors provide security at the off-site Muir Woods shuttle parking lots. How many parking spaces will Muir Woods have after the reservation system is implemented? Under the new reservation system, there will continue to be approximately 232 parking spaces within Muir Woods for privately owned vehicles. How will the reservation system manage visitation? In the last decade Muir Woods experienced a significant increase in visitation, growing to 1.1 million in 2016, a 30% increase from the prior decade. The reservation system will limit the number of vehicles and shuttle reservations that are allowed to park at the Monument, ensuring less traffic congestion, decreased crowding, and thereby improving the visitor experience. Will paid parking be implemented at all Golden Gate National Recreation Area parking lots (e.g. Crissy Field, Marin Headlands, etc.)? At this time, Muir Woods is the only GGNRA portion of the park with the need to limit/manage vehicle parking due to the high volume of visitors. While GGNRA does experience robust vehicle traffic in several other areas of the park, they are currently tied to predictable weekends (e.g. Independence Day, SF Marathon, Fleet Week, etc. ), which GGNRA manages through contracted parking directors/coordinators and increased law enforcement. GGNRA does have metered paid parking in certain areas of Crissy Field in San Francisco. I am a commercial tour operator, do I make my reservation here? No. Commercial carriers will be required to make advance reservations through a separate system managed through recreation.gov. Reservations for commercial parking spaces are anticipated to begin in late spring 2018.  More information can be found on nps.gov. Are other national parks using reservation systems? Similar programs are in use at Haleakalā National Park, Hawaii, where a reservation must be made to park between 3 am and 7 am for sunrise viewing, and at Yosemite National Park, California, where visitors have the option to reserve a parking spot on four peak weekends. Zion National Park is also considering a similar parking/arrival reservation system. There is a lot of construction happening at Muir Woods. Why?